What happens when a prank call goes bad? Just ask Garrett Clayton and Gregg Sulkin, as in their highly-anticipated, new, thriller movie, “Don’t Hang Up,” a few pranks calls leads them to being in some super serious and scary situations. The incredibly talented Garrett Clayton looked so dashing as he attended the premiere of his movie, “Don’t Hang Up” yesterday, June 4, 2016 at the Los Angeles Film Festival at the Arclight Cinemas Culver City in Culver City, California. Garrett Clayton continues to show how versatile he is of an actor. 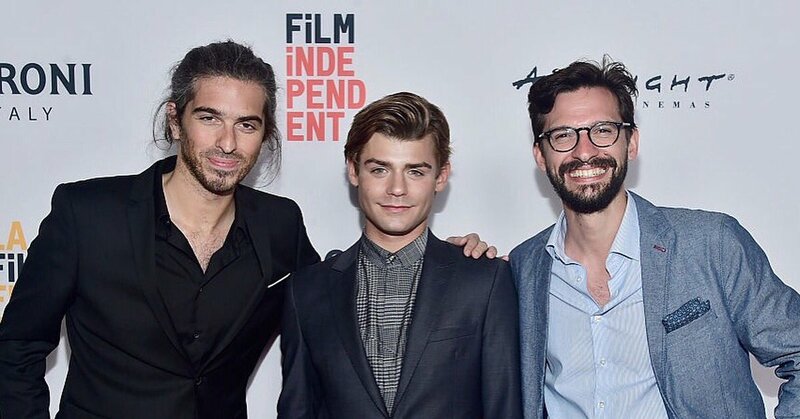 Whether it is being a part of a highly-acclaimed, sensational Disney Channel movie, or going to the dark side in a suspenseful film, Garrett Clayton always does a remarkable job in every role and project he takes on! Previous Article: Paris Berelc Had A Phenomenal Time At The Ghostrider Rides Again Event! Next Article: Breanna Yde Had A Fun Time At The Ghostrider Rides Again Event And Snapped A Pic With JIFFPOM!